The Strictly hen party dance class is based on the hit TV show Strictly Come Dancing, so if your hen party group are fans of the program then this dance class is perfect! Why a Strictly Hen Party Dance Class? As soon as you’re ready, it’s time to put your dancing to the test and find out whether you get a whopping 10 out of 10 for your performance! 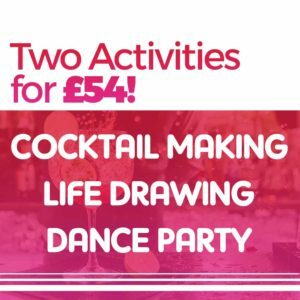 During your Strictly dance party our dance teacher will show you a show-stopping dance routine which would send you straight to the top of the leader board! Get ready to be waltzed around the dance floor and shine like a true star in this Strictly dance lesson!